As the bleak, unsympathetic months of winter begin to take hold, you may consider some warm, all-consuming Scandinavian AOR to complement your hot chocolate and endless supply of Hob Nobs. 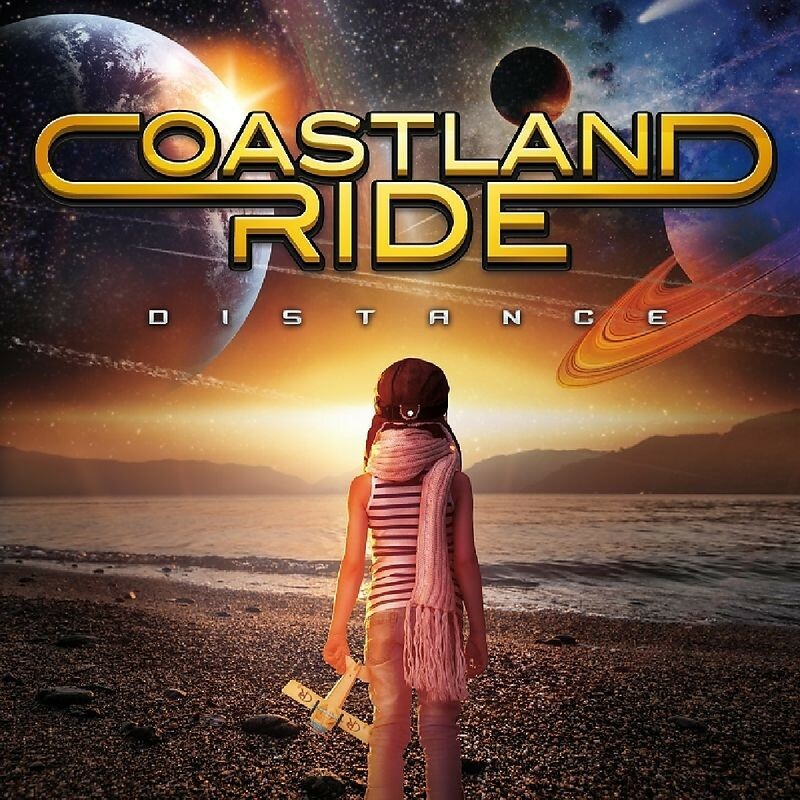 If so, look no further than this innocuous little beauty from Sweden's Coastland Ride, a band that has been around since 1997. However, it wasn't until 2003 that Markus Nordenberg (vocals), Anders Rybank (guitars, keyboards, bass) and Mikael Bohlin (keyboards, guitars) produced their self-titled debut album, and a mere (!) eight years later their sophomore release 'On Top Of The World' saw the light of day. Despite both albums being proficient and commendable AOR compositions, it was probably down to that excessive time frame between albums as to why they didn't garner substantial support outside of their homeland – a crying shame really, as both albums really are worthy of investigation. Fast forward to March 2017 and here we have album number three; 'Distance' is by far the band's best offering. From the beautifully colourful and graphic artwork to the lush production qualities, this opus is sure to satisfy the "pink and fluffy" brigade as well as enticing others who are simply looking for music that soothes, serenades and satisfies. Of the twelve songs on offer, the vast majority are mid-tempo compositions that are predominately keyboard-driven, supplemented by short, determined guitar breaks. Opener 'Winds' perfectly captures the tone. It's a silky-smooth arrangement with meandering keyboards and outstanding vocal contributions, both lead and harmonising, and if your tastes gravitate towards bands such as Alien, Street Talk, Radio Silence and most recently Outlasted, then you'll have no trouble embracing this album. With music of this ilk, a West Coast influence is never far away; 'Love Is On Your Mind', 'Eye Of The Storm' and 'Hardcoded Life' are unsullied examples of this. For those who can't live without guitar, don't despair, as 'Saviour', 'Dead For Seven Days' and 'Princess' Little Wonderland' increase the tempo and intensity a modicum, and inject a degree of variation within the opus. Speaking of variation, 'Nation Of Grace' is perhaps the most ambitious song that Coastland Ride have attempted; it's very Toto-esque in its delivery and, at times, borders on Prog territory with its cinematic mid-section. Surprisingly, there's only one bona fide ballad, the exquisitely executed 'Here In My Heart'.